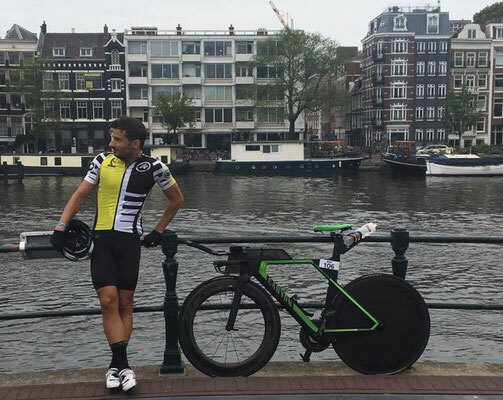 Racing season keeps me really busy with my athletes competing every weekend all over the world. So here are the most exciting results form the past 3 weeks of racing. 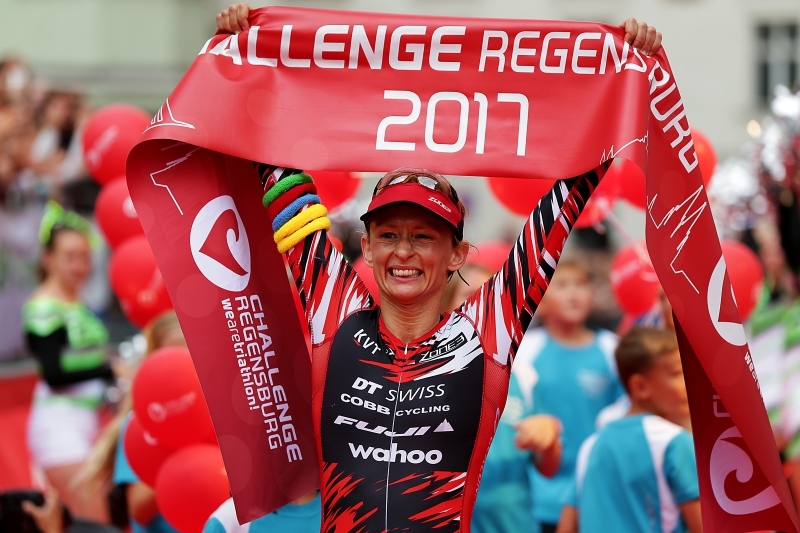 Diana Riesler did her last Sub-9 finish at Challenge Vichy in 2013. From then on she raced courses like IM Lanzarote and Malaysia where such times are impossible. She started doubting that she’ll ever be able again to do a Sub-9. But at the press conference of Challenge Regensburg last Saturday the men were talking of a Sub-8 finish and Diana said: „Well, if the men will stay under 8 hours, I will stay under 9 hours!“ She is a very logic and straight forward thinker. And indeed did she produce one of her best races ever. She exited the water as 1st lady in 54mins - only 4mins behind the men leader. The first two hours on the bike it was not her weather: heavy rain and freezing cold. But she fought through it. But then the wind was picking up and dried the roads. She was really hammering the bike and entered T2 with a bike split of 4:38h (!). This meant that she could have a coffe break on the run and would still finish Sub-9 - a 3:20h marathon would be good enough. At the end she ran 3:13h (still easy pace), got a new PB with 8:51:02hrs and a new PB on the bike as well. 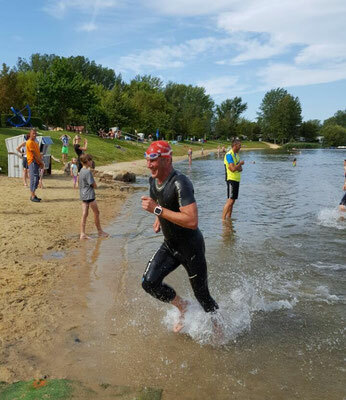 And finished 12th over all;-) Just great to see her in such a fantastic shape just 4 weeks after one of the toughest races: IM Bolton, UK. 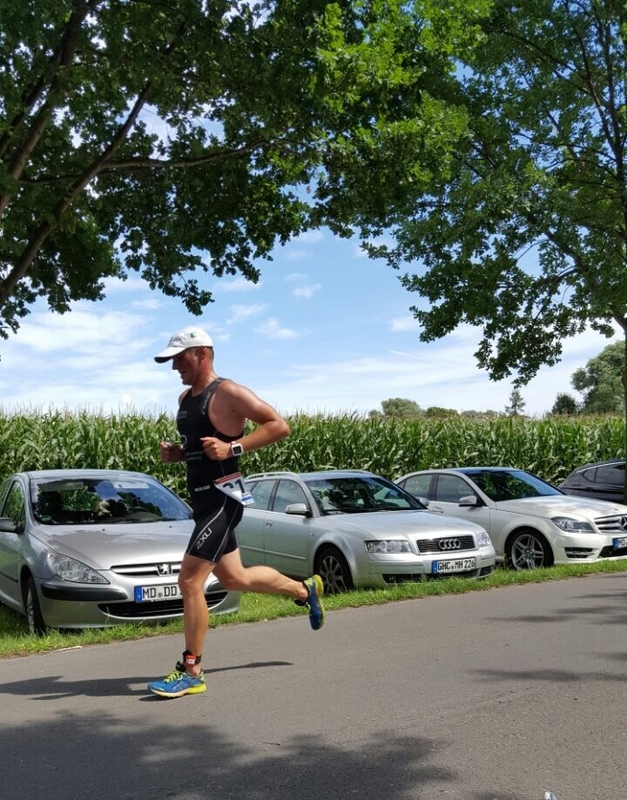 And BTW: If you are looking for a fast race, then Regensburg is your choice: Incredibly well organized, a fast course, almost flat, smooth roads and a scenic run in one of Germany’s most lovely cities. 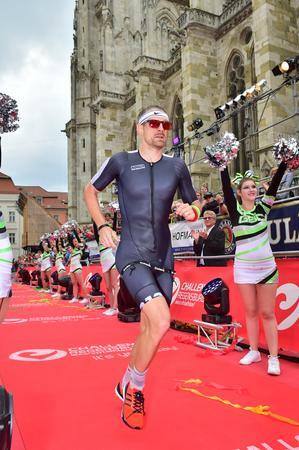 Peter Rudolph gave his Long Distance debut at Challenge Regensburg. He had an incredible race. 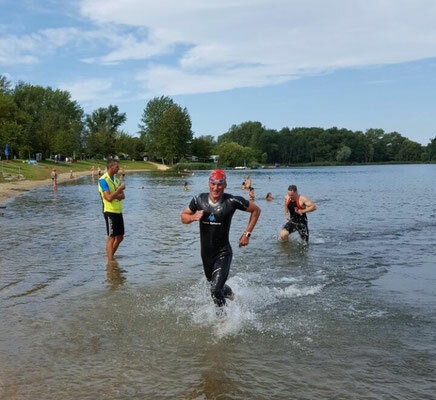 His weakest part is the swim but with a 1:07h everything was still possible. On the rainy and windy bike course he made up a lot of time and after 4:40h he entered T2. On the run he looked pretty well and gave the other competitors a hard time as well. 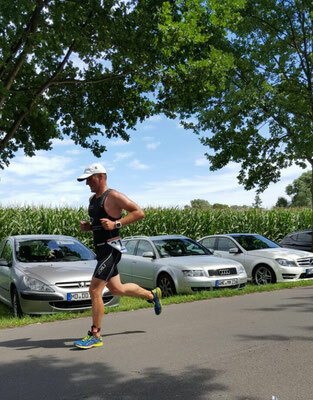 With a 3:13h marathon and an over all time of 9:06h he crossed the finish line as 2nd man in his AG (German Vice Long Distance Champ) and became 12 over all, including the Pro athletes and two Age Groupers. Really happy to see him smashing his first long distance race in such a great manner! 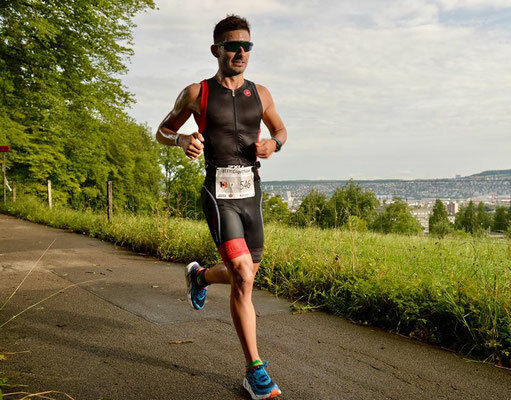 Fernando Candia was aiming for a Sub5h finish at the IM 70.3 Steelhead. "Swim, bike and even run was good. Think I could have done better on the run though. My hips and hamstrings where like cement there after like 8k on the run and slowed down considerably from there. 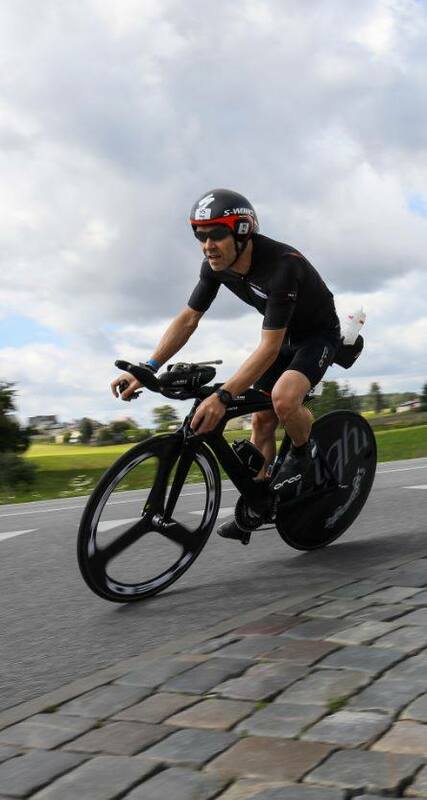 I frankly didnt spend too much time on the aero position during training. So think thats where I screwed up in training. Otherwise I really feel I trained consistently and hit all key sessions you gave me. 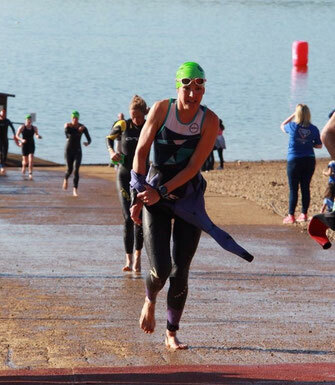 Also had a little issue during T1 with my wetsuit. I couldnt get it off as the zipper was stuck!!!! hehe. Lost 2min after finally just brute force ripping it.“ At the end Fernando has done and dusted Steelhead in 5:03hrs - we are almost there! Barbara Tettenborn raced IM Hamburg. She had a fantastic swim with the fastest split in her Age Group. Unfortunately Barbara had a puncture on the bike and lost her rhythm and a lot of time to fix it. Despite this puncture she felt well on the bike and still cycled the 5th fastest bike split of her AG. The final marathon was her biggest enemy on the day and a few other ladies of her AG passed her on this section. But at the end she became 5th lady and without her puncture she had a podium spot. I’m very happy with her race. She had super consistent training leading up and told me that she never felt as good during and after an Ironman. 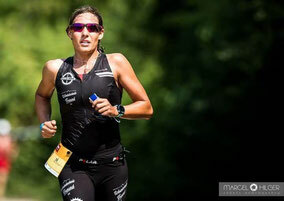 We will now work on her run, select the right course and then a Kona slot will be just a matter of a puncture-free race. Mela Steffen participated in an internal tender of her company for a start place and journey to Ironman Hamburg. It was meant to be just for fun while she didn’t expect to be chosen. But as often in life things turn out differently than you’d think. 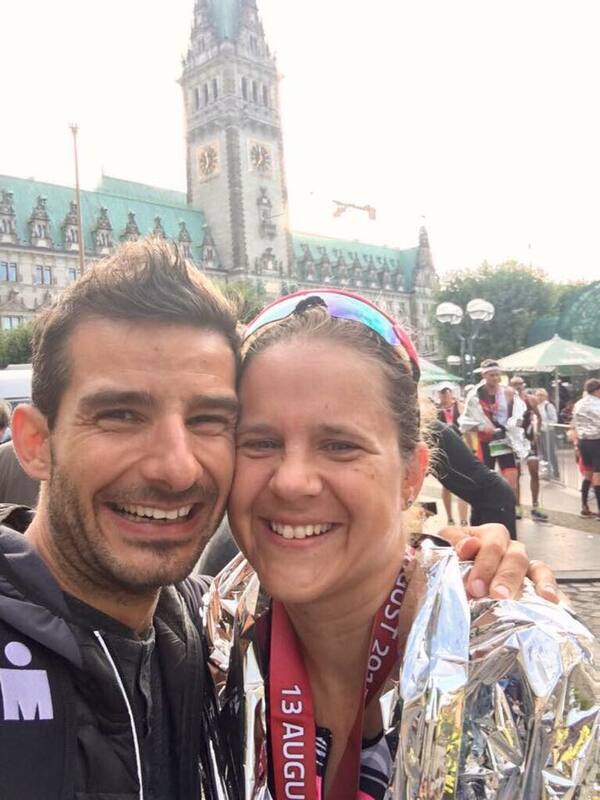 Finally Mela took part at IM Hamburg and wrote me one of the nicest messages ever: "PB improved by 44mins! New swim PB, new bike PB and new run PB. Marathon was just 2mins slower than my solo marathon in Berlin! You brought out the best in me. Thank you!" So nicht auf dem Plan. Hauptrennen war der Gigathlon und dann war eigentlich wieder Ruhe und geniessen auf dem Plan. Aber wie die Jungfrau zum Kinde kam ich zum Startplatz. Und so kam es, das ich gestern an der Alster stand und die 226km in Angriff nahm. 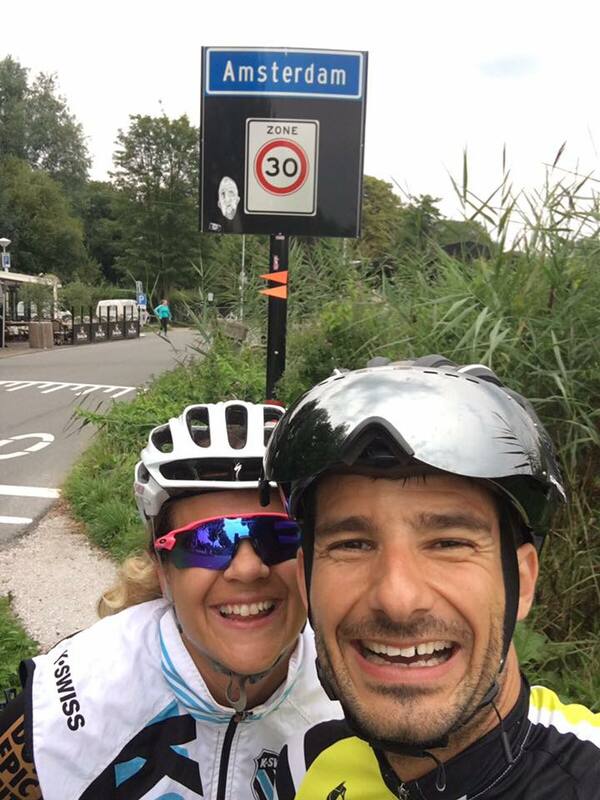 Als Ziel hatte ich nur den Finish und die Hoffnung, etwas fun an der langen Reise zu haben. Klar, sub 12 Stunden war in den letzten Jahren immer ein Wunschgedanke, aber diese Jahr wohl nicht drinnen. Mein Leben ist vollgepackt von schönen Dingen wie dem Sport, mein Näh-Hobby und einem Job, welcher ein Training nach Plan einfach unmöglich macht. Aber was soll ich sagen.. mein Coach Joseph hat sich der Aufgabe angenommen und meine Rakete hat gezündet... Sub 12 um 10 Minuten unterboten. Zum Abschluss einen Marathon laufen können, der zwar unglaublich schmerzhaft war, mir aber trotz allem gerade jetzt wieder ein Lächeln ins Gesicht zaubert. Endzeit von 11:49:49! Mehr als ich zu träumen gewagt habe. Ich bin kein Freund der Ironman-Werbefloskeln. Aber eines passt: "anything is possible". Das war er nun, der perfekte Tag! 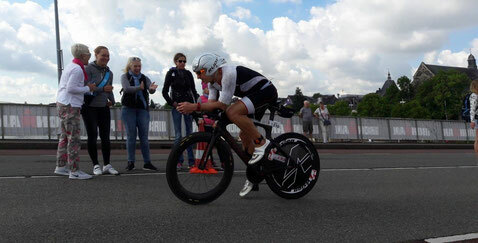 Only 3 weeks after IM Frankfurt, Miahi Vigariu had a great race at Ironman Maastricht. We decided to back up Frankfurt with another Ironman as he missed a better ranking in Franfurt due to not optimal nutrition strategy. So we fixed this, it went much better and Mihai finished 11th in his AG in Maastricht with a solid Sub-10 time. However, he missed his goal to get his Kona slot. However, he has the grit and determination needed getting there. He is already back in training and we’ve already starting to reduce his body weight with a very special and radical diet. He will be ready, when it counts next time. You can bet on that. 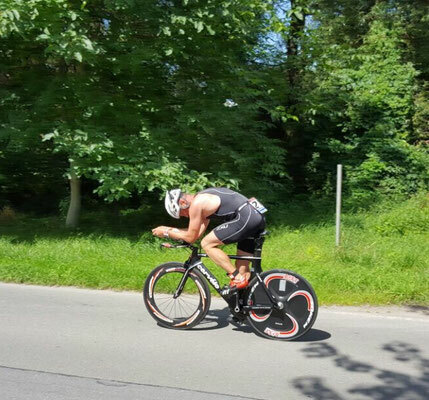 Rico Giovanoli had another very strong Ironman race at IM Maastrich. 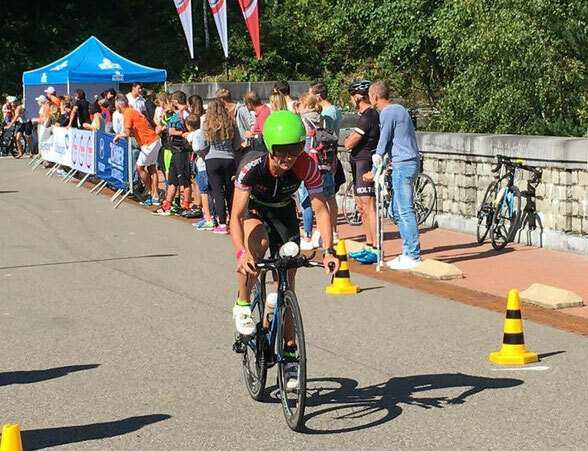 Over the past few years he made a huge improvement in all three disciplines and he is getting closer and closer to a Hawaii qualification slot on his Age Group. 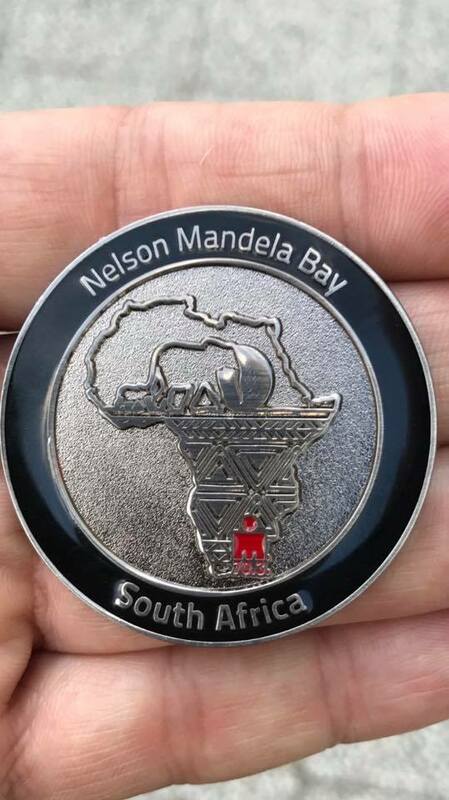 With a 1:07hrs swim, 4:59hrs bike and 3:28hrs marathon one would think that a slot would be reachable. But the competition is getting deeper and deeper. With a great time for IM Maastrich of 9:42hrs Rico became only 13th in his Age Group. Sure it was a fantastic performance. But I can also understand my athletes who begin to doubt if they should really invest so much time, money and discipline into racing when they face Ex-Professional cyclists and runners at the start line. 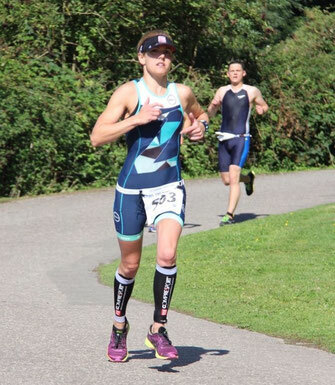 Jen Wood had a great double race week in UK. Wednesday she was running a local 5km race as a test. It was a hard battle between 1st and 2nd. I’m very proud that she had the mental strength and confidence to take out the win. Those short races are always very hard since intensity is so high. Despite recovery was not easy, already the following Sunday Jen went into a local olympic distance race in Bewl. There she had another good preparation race and finished 2nd overall and won her Age Group. 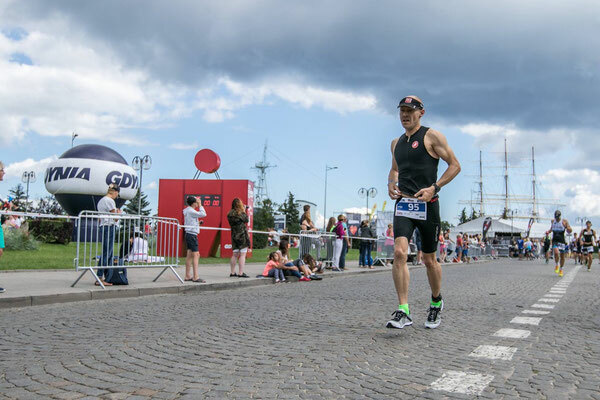 Pro-athlete Jenny Schulz raced IM 70.3 Gdynia. We were hoping for her first podium at an IM 70.3 race this season but it was a very close battle at the front. Jenny had a very good swim but couldn’t find her bike legs on the course. On the final run she made up a lot of. Jenny ran incredibly fast: 1:19h half-marathon but it was not enough. She missed the podium just by 90sec. 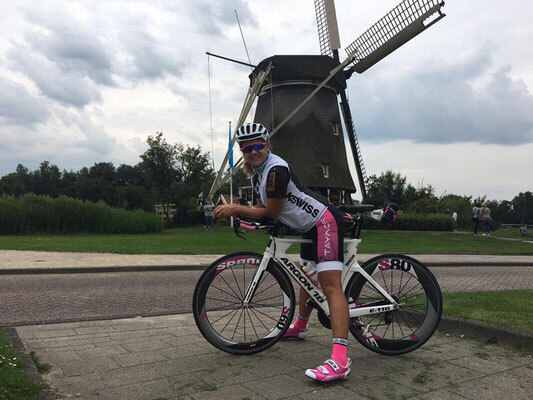 We are getting closer and one day Jenny will find her bike legs as well! 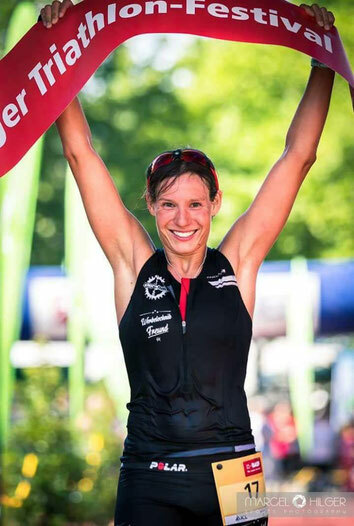 That she can podium Jenny already proved only 1 week earlier at the Olympic Distance race Römerman in Germany. Since there was strong competition Jenny had to go full gas from the very beginning. Swimming down the Neckar river made this very easy. On the bike she moved quickly into 2nd and had already Lena Berlinger in sight. Unfortunately Jenny lost her on the downhills. With a 2mins gap she went on the run course. Against a girls from the 1st Bundesliga, Jenny had no chance to close this gap significantly. At the end she got 2nd and had a big smile on her face. And I’m desperate to see that smile at an international race as well! We improved Jenny's swim not 1 but 3 levels; her killer run is back; we just need to find her bike legs. Given the hard working athlete she is we will get her there. I’m looking forward to her next races. 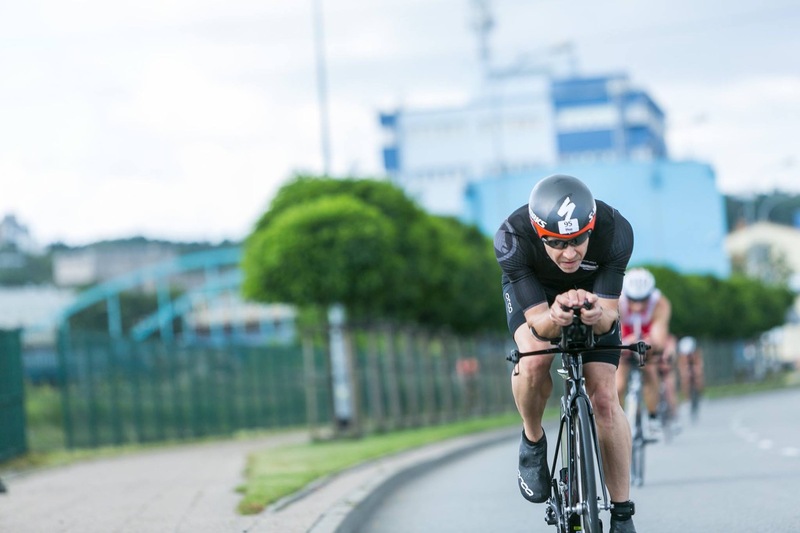 Neil McLoughlin goal at IM 70.3 Gdynia was to qualify for the IM 70.3 World Champs 2018 in South Africa. While Gdynia was one of the first races where you were able to qualify for it, it was clear that it won’t be that easy. But nevertheless it is a stunning course and worth a trip. Neil started a way too far back in the swim and had a struggle getting through the guys who clearly thought they were going to swim 30 mins. He swam 34mins. The bike course was much tougher than he expected: strong headwinds going out and plenty of climbing. On the run he had bad cramp again the first 2 miles, Achilles „went“ on the second lap - 3rd lap Neil couldn’t feel it which was blessing. But overall he had a good race, finished 4:46hrs total and became 6th in his AG. That saved him the slot for South Africa. Happy athlete, happy coach. Ironman Switzerland was an incredibly intense weekend for me. 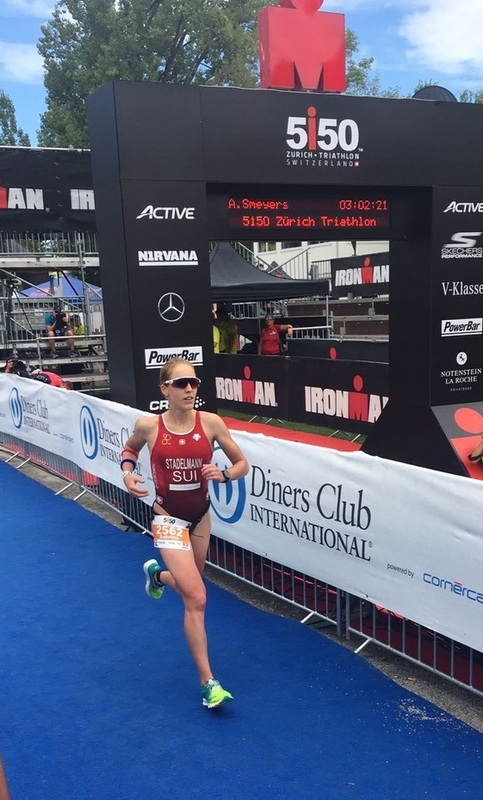 Despite having some of their best performances ever, my athletes racing the Ironman on Sunday missed their goal to qualify for Hawaii by a small margin as competion really grew strong in the past 2 years. But don’t worry, they have the grit to reach their goals and we will step up our game for the next showing. However, Ironman 51.50 on Saturday was super successfully for my squad. When you have three ladies at the start line of a race and all 3 ladies win their respective Age Group then you're a really happy coach. 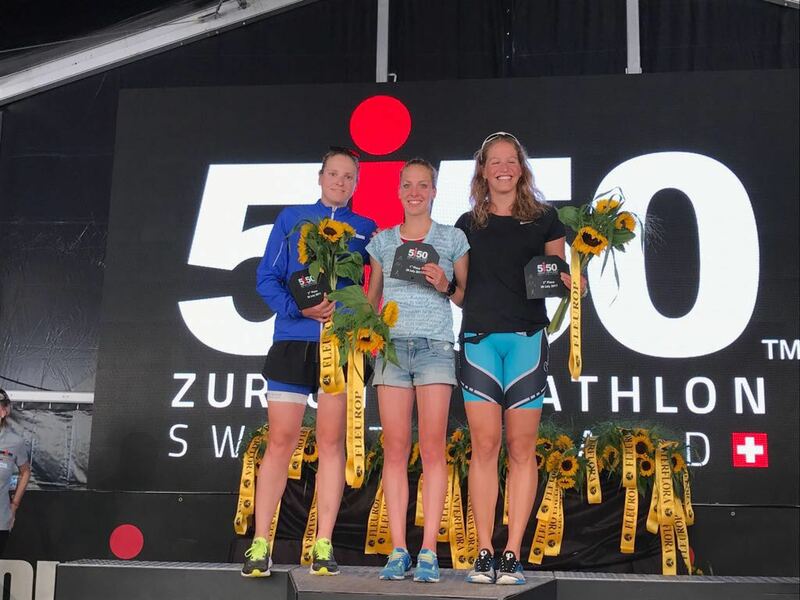 Sabrina Stadelmann, Sandra Schoeni and Carmen Grosse all had an excellent race and won their Age Group in a great style. Very well done girls! 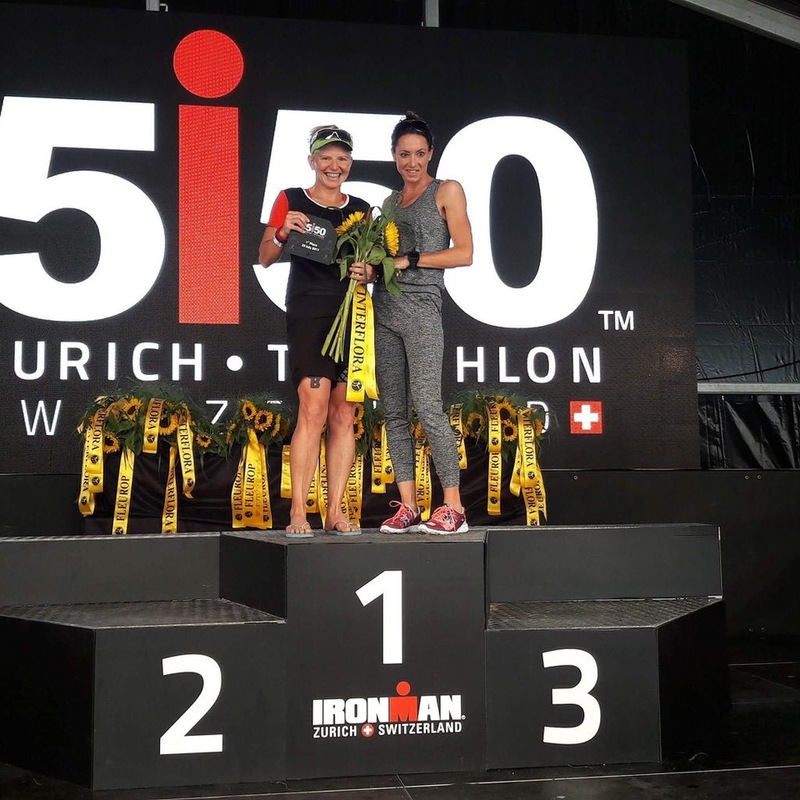 Laura Dossenbach was taking on the long distance at this Zürich weekend. Her goal was to finish it in a self-satisfying time. At her last and only IM race Laura dropped out after 30kms on the run because of dizziness after 11:45hrs. This time she already should have crossed the Finish Line at that time of a race. Laura had a fantastic swim of 1:08hrs, a fabulous bike split of 5:32hrs and a medium but solid marathon of 4:15hrs. All together she had a fantastic time of 11:06hrs and placed 5th in her Age Group. Really happy to see such an improvement and really looking forward to Laura's next Ironman race. 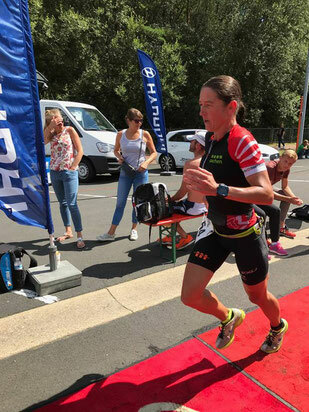 Steffi Jansen raced the Belgian Half Distance Championship Eupen. She felt well on the swim and had a solid swim time. But the wet streets on the bike course slowed her down a lot and unfortunately she couldn’t make up any time. Steffi ran a solid half marathon and placed 4th girl over all. 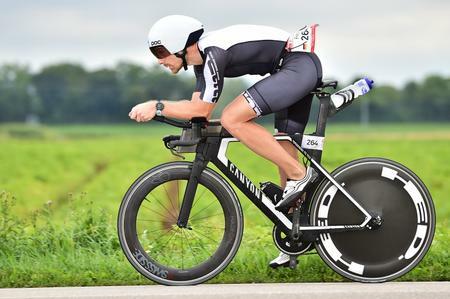 Steffen Warias, our Gourmet Chef from Merseburg, was always unlucky the last few races because in his Age Group was always on of the strongest competitors of the whole Saxon-Anhalt-league. As always in life you need a bit of luck. 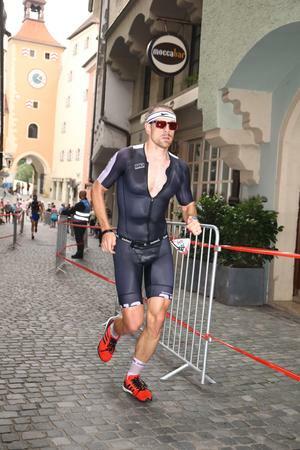 So happened at the Salzlandsparkassen Triathlon Löderburg. It was a very hot day and while we did a lot of miles in the water the days before Steffen had a fantastic swim and smashed the bike very hard. It was a very hot day and everybody had to struggle on the run. But for the lead up to this race Steffen has had the best training buddies you can imagine: Shiao-Yu Li and Diana Riesler. Used to those fights he ran into the Top10 overall and won his Age Group. Very well done „Chef“!